Namaste is running its third Yoga retreat! You are invited to Bali to enjoy a 10 day retreat of Yoga, breathing, meditation and introspective reflection. This retreat aims to draw our senses within ourselves to create immediate ease, acceptance and contentment in our lives. Once we draw our senses inwards and discover the sweetness within us, there remains no urgency in desperately seeking sweetness outside of ourselves, and we become more able to enjoy the gifts life brings without becoming attached. The retreat schedule is slow paced to allow to take the time to process the changes that tend to take place with reflective practices. You are encouraged to rest, lay by the beautiful beach, have massages and enjoy stillness (and for those of you who wish, go on adventures!). Bingin is a cliff-side village that grew from the surfing community that seeks the consistent barrel waves here. There's dozens of small shops/guest-houses/tiny restaurants that are run by local families and have a beach-house shabby-chic charm. It's all linked together network of paved footpaths that link together this "hanging village". The scenery is beautiful, we have a 3 km stretch of golden sand beach with ocean tide pools and incredible surf. There are well maintained gardens of tropical flowers, palm trees. 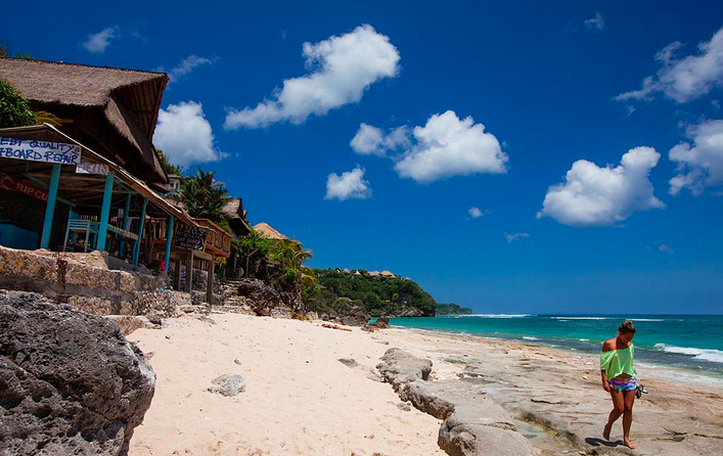 It's perhaps one of the last 'hidden beaches' in Bali. The villa enjoys a spacious garden, a refreshing pool, and an open plan design. The villa is built on near the cliff above Bingin beach and a walk to the beach takes only a few minutes. The design is a mix of French and Balinese influences and our roof-tiles have a signature mosaic pattern. There's a spacious thatched hut for reading a book or relaxing poolside. A very Balinese touch. Swim in the pool, get spa treatment, surf at the beach, go cycling, have magical walk watch a magnificent sunset , visit Balinese local house, go jogging, attend cooking lessons or a Balinese ceremony, or watch a Legong dance show. It is 2 hours drive from Ubud (known as Yoga disneyland).